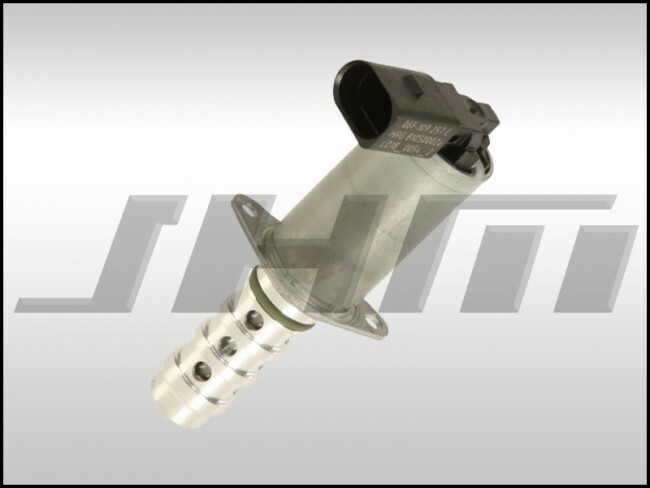 This is a brand new, OEM Camshaft Adjustment Valve or Solenoid for your Audi or Volkswagen with the 2.0T FSI motor. This motor is found in the B7-A4 2.0T, MkV GTIs, A3s and other Audi and Volkswagen cars. When this valve fails, you can get a check engine light with the associated code: 000010 - Camshaft Positioner (Bank 1 Intake) P000A - 008 - Slow Response. The OEM part number for this valve is 06F109257C or 06F 109 257 C.